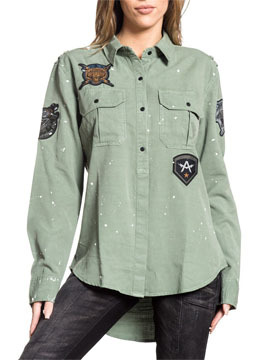 Affliction Iconic womens long sleeve button up woven dress shirt features two chest pockets with small lightning bolt tiger patch and A wing logo patch accented with paint splatter on the front. 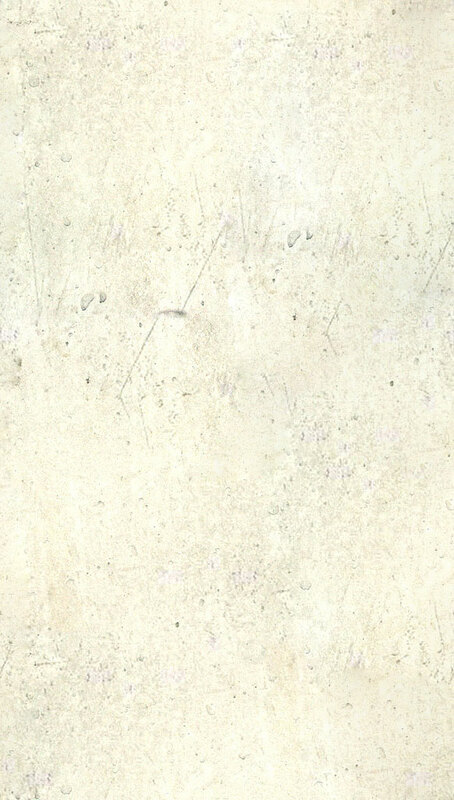 The back features all over white paint splatter. The Chosen Few Skeleton shoulder patch on one side with Affliction lightning bolt panther shoulder patch on the other sleeve. 100% lyocell-rayon. light weight, slim fit, custom buttons. Garment dyed with silicon wash for soft feel. Color: olive green.